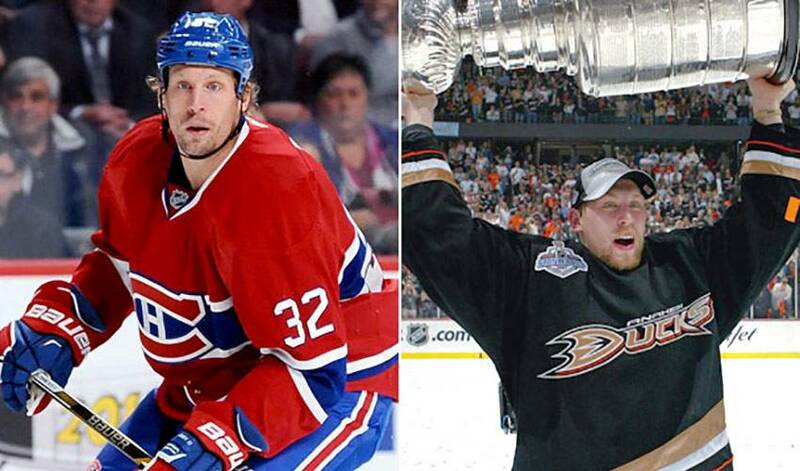 Travis Moen announced his retirement today from the NHL following 12 seasons. The forward scored three game-winning-goals in the 2007 playoffs, including the series-clincher for the Ducks in the run to their first Stanley Cup. Travis Moen announced his retirement today from the National Hockey League (NHL), following 12 NHL seasons. Born in Swift Current, Saskatchewan, the place Moen calls home is his family farm in Stewart Valley. Drafted in the 5th round, 155th overall, by the Calgary Flames in the 2000 NHL Entry Draft, the six-foot-two, 215-pound left winger went on to play in 747 career NHL games, amassing 136 points (59-77-136), and 801 penalty minutes (PIM). His NHL debut came on Oct. 8, 2003 with the Chicago Blackhawks versus the Minnesota Wild, after he signed as a free agent one year prior. A harbinger of key goals to come, Moen’s first NHL goal was a game-winner at St. Louis on Nov. 11, 2003. He was one of only three rookies in the league to skate in all 82 of the 2003-04 season. He scored four goals, two of them game-winners, and racked up a career-high 142 PIM. After Moen played for the Norfolk Admirals of the American Hockey League (AHL) during the 2004-05 owners’ lockout, he returned to the NHL for the 2005-06 season as a member of the team then known as the Mighty Ducks of Anaheim, following a trade on July 30, 2005 with the Blackhawks in exchange for Michael Holmqvist. It was in Anaheim where Moen would set career-highs in goals (11) and points (21) in the 2006-07 season, while in the same year achieving his childhood dream of winning a Stanley Cup. In 21 playoff games with the Ducks in the spring of 2007, he notched seven goals and five assists to combine for 12 points with a plus-5 rating and 22 PIM. Moen played the overtime hero with the game-winner in Game 4 of the conference semifinals at Vancouver. He snagged another game-winner in Game 1 of the Stanley Cup Final versus the Ottawa Senators, and reappeared on the score sheet in Game 5 with two goals this time — including the Cup-clincher that led to the Ducks hoisting the Stanley Cup for the first time in franchise history. Moen tied for second among all players in the 2007 postseason with three game-winning goals. In 2008-09, Moen was acquired by the San Jose Sharks midseason on March 4, 2009 in a multi-player deal, which saw him traded along with Kent Huskins for Timo Pielmeier, Nick Bonino, and a fourth-round draft pick in 2012. He skated in 19 regular season games, scoring three goals and two assists for five points. He also skated in six postseason games with the club. On July 10, 2009, he signed a three-year contract as a free agent with the Montréal Canadiens, and in 2012 he re-signed for another four years. The heavy-hitter tallied 161 hits in his first season with the Habs, good for second on the team, and also netted a short-handed goal in the playoffs. Moen helped the Canadiens reach the Eastern Conference Final in 2010, and he reached the playoffs in four of the five full seasons he played with the team. On Nov. 11, 2014, Moen was traded to the Dallas Stars in exchange for Sergei Gonchar. He played in his 700th career NHL game on Dec. 6, against his former team, Montréal. Moen’s final NHL season came with the Stars in 2015-16. He played in 23 games, and made a bit of NHL history on April 3 with the team. At the 19:49 mark of the first period against the St. Louis Blues, he converted on his first career penalty shot. The goal was the first of four between the teams in 49 seconds — the fastest four combined goals scored in NHL history. Moen reached the playoffs with the Stars in his final NHL season to bring his playoff resume to 83 games played, in which he posted 11 goals (four of them game-winning), eight assists and 19 points, with 61 PIM. Residing in Swift Current with his wife and two children, Moen continues to be active in the community, now serving as a volunteer hockey coach in the Swift Current Minor Hockey Association.